Google has updated its Home smart speaker software so that owners can now listen to music they have uploaded to and purchased on Google Play Music. 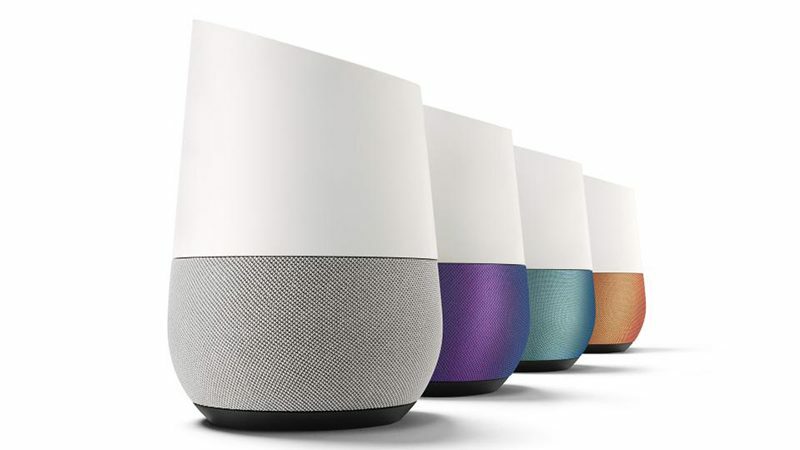 Previously, using a free Play Music account through Google Home was limited to playing radio stations, while paying subscribers could listen to tracks in the streaming service's own online catalog. But now both types of account holders can also play music they have personally uploaded to the cloud (up to 50,000 songs) or bought outright on the Play Music store. As detailed in the company's product forum post, Google Home will now prioritize uploaded and purchased tracks over radio mixes when users ask to play a certain artist, but on-demand content will play before purchased/uploaded content unless paying users specifically ask Home to play something from their library. The feature is currently rolling out to all regions where Google Home is supported. See Google's help page on the subject for more. Good news for Google fans. I'm still buying a HomePod. How/Why is this on MacRumors? iOS news I can understand, but this? Simply because it rivals a future Apple product? It's a bit of a stretch. Macrumors doesn't just report Apple related news. They also report competitor news and technology related articles alike. If you look back on previous main page articles, you will see they report news on a lot of different topics electronic and technology related. Not everything is about Apple and it's nice to know what else is happening in the technological word around us. Not everyone has the same wants/needs as you. I own Apple products. I also own Google products. I also own Amazon products and Microsoft products. When it comes to streaming from one device to another, in my experience at least, Google Casting beats Airplay in almost every respect. I prefer Google music and voice assistant over Apple Music and Siri. If you don't want to read about what the competition is doing, then don't. Surely you’ll be able to Airplay your iTunes library to the the HomePod.. I don’t believe it will be exclusive to Apple Music (for long anyway). i have both , google home is far far better. In your opinion. Completely subjective based on experience. Your views are not shared by everybody else's, both devices have advantages and disadvantage is to each other. If its as good as Amazon Music Unlimited and a Dot, Google Home users are in for a real treat. Alexa is very accurate, been testing the last few days on a 4 month trial. Well, you know :apple:TV has been out of a very long time now and has had many software updates. Our own local video content indexed by iTunes running on a Mac in our homes can easily be searched via voice control Siri. Well, you can upload 250 songs of your own stuff without paying that extra fee -- and that extra fee gives you space for 250,000 songs. If you prefer to OWN your music instead of always streaming it, then these 25 bucks are not unreasonable, and you don't need to subscribe to a streaming service (that will offer the majority if not all of your music either, which would make the cloud space redundant and obsolete). I guess it's about the individual use case and what fits your needs best. Not sure why you are saying Alexa is "crappy" I get pretty much 100% success rate in tests with Amazon Music Unlimited. Also very high % on basic queries. I have a middle English accent, UK based, do you have a local to your area or early year upbringing twang?